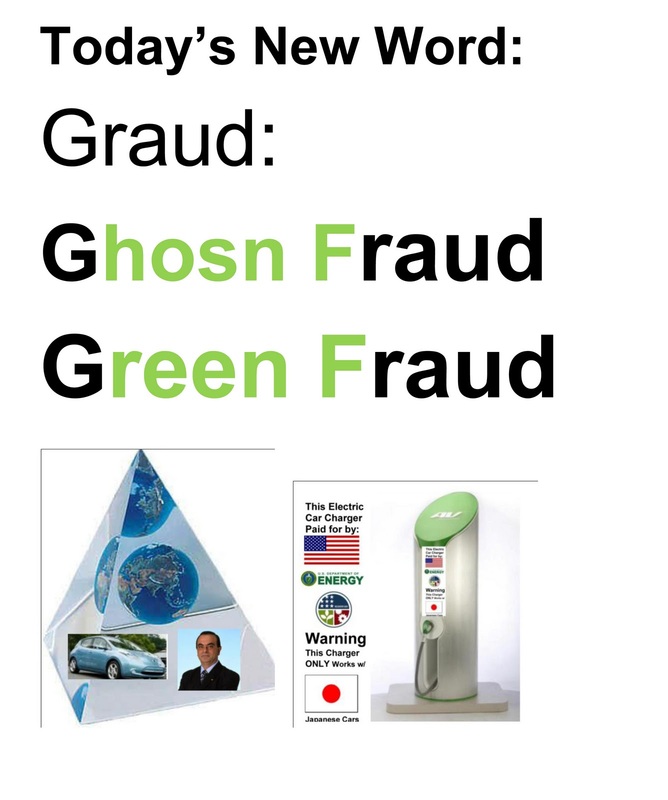 The below article was on the "public" Internet and was done by the DNJ and found by a former NISSAN employee who KNOWS that the battery technology NISSAN is using is outdated is a person who wants DOE fraud to end. People have shared with me "issues" because they want America to succeed. The DOE funded a project that will not create the jobs promised. Gannett has "removed" articles from the server AFTER Sharyn Bovat "blogs" about them. WHY? MURFREESBORO — Nissan North America will pay the Rutherford County Industrial Development Board $6.25 million for nearly $2 billion in bonds issued beginning in 1980, settling a dispute over the amount the automaker owes. The IDB voted unanimously Wednesday morning to approve a memorandum of agreement with Nissan after the two groups went through non-binding mediation Oct. 17 with former federal judge Robert L. Echols to resolve a disagreement over the interpretation of "bonds" from a 1980 contract that was amended in 2000. Nissan contended it owed about $5.5 million for bonds the IDB issued for construction of the Smyrna auto plant and equipment improvements over the years, while the IDB said Nissan owed about $7.5 million, according to IDB members. Nissan's first payment is due Feb. 15, 2012, and another, which can be no less than $824,000, is to be paid to the IDB in Feb. 15, 2022, for bonds issued in March 2000 under the amended agreement. "We essentially split it down the middle," IDB attorney Sumner Bouldin said of the agreed payment. The IDB has issued a total of $3.95 billion in bonds to Nissan throughout the life of the project to cover the plant's construction and some equipment, and Nissan still owes on $2 billion more in outstanding bonds, according to Bouldin. There's no way to know how much is due in 2022 on the second payment, he stated, noting the agreement merely establishes a minimum payment. IDB member Edwin Davenport of Smyrna called the resolution "very fair." I think it was positive for both parties," Davenport said. "I think it's a great opportunity. This is a continuation of a very positive partnership we've had with Nissan from the very beginning." Nissan spokesman Steve Parrett said at issue was the interpretation of the term "bonds" as used in the calculation of the purchase obligation payable at the end of the agreement. The differing interpretations led to a difference in the purchase obligation calculations. He added Nissan is satisfied with the result of the mediation process. In 1980, when Rutherford County was competing with Cartersville, Ga., for the Nissan plant, the county IDB signed a 20-year lease agreement with Nissan and issued $450 million in bonds for construction of the Smyrna plant and $25 million for a pollution control project. In return, Nissan agreed to build 10,000 to 20,000 vehicles per month and 20,000 to 40,000 per month in a second phase.